In 2012, Sheikh Mohammed bin Rashid Al Maktoum the ruler of Dubai, launched a new city within a city in Dubai, United Arab Emirates. 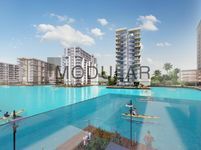 In terms of land area, this mega development is the single largest area of land dedicated to the development of a real estate project in Dubai. Mohammad Bin Rashid City is a huge mega complex comprising four components: Parks, Retail, Arts, Entrepreneurship and innovation. The park will be established in partnership with Universal Studios. It will be the largest family leisure and entertainment complex in the Middle East. The park will include more than 100 new hotels, it is planned to host up to 35 million visitors yearly. The retail component will include the Mall of the World, which is planned to be the largest shopping mall in the whole world. As for the art component, the city is set to include the largest area for art galleries in the Middle East. Moreover, entrepreneurship, innovation as well as sustainability are integral components of Mohammad Bin Rashid City. 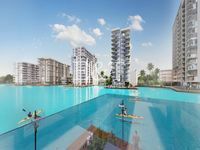 Mohammed Bin Rashid City will offer business facilities specifically designed to attract entrepreneurs and inspire innovation, it is also connected to Downtown Dubai and Business Bay through a passage called Cultural Crossing. 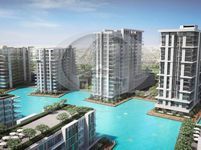 Commercial for sale in Mohammad Bin Rashid City are very popular among investors. Mohammad Bin Rashid City is a picturesque development featuring an abundance of shimmering blue lagoons, pristine beaches, lush green landscapes and amazing architecture. Mohammad Bin Rashid City also features 9 kilometers of jogging, cycling and walking trails as well. All set amongst beautiful parks and colorful landscapes. The unique trails feature high-quality low impact surfaces in addition to solar lights with sophisticated technology ensuring an eco-friendly environment. Mohammad Bin Rashid City comprises first class amenities and state of the art facilities, as well as premium infrastructure. Mohammad Bin Rashid City lies in a strategic location in Dubai in close proximity of iconic landmarks and city hubs, such as Downtown Dubai, Business Bay and Burj Khalifa. This makes Commercial for sale in Mohammad Bin Rashid City an excellent investment. You can find all sorts of commercial for sale in Mohammad Bin Rashid City, from offices and business centers to retail shops, and all of them offer prime quality. Why buy commercial property in Mohammad Bin Rashid City? Commercial for sale in Mohammad Bin Rashid City are an ideal investment. 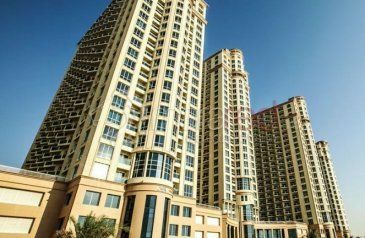 They provide you with great commercial property in a picturesque development nearby all important hubs in Dubai. 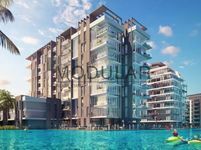 Moreover, Mohammad Bin Rashid City is a huge all inclusive development including a wide set of great amenities and excellent facilities. It also holds numerous tourist attractions. All in all, Commercial for sale in Mohammad Bin Rashid City is a perfect choice for business.